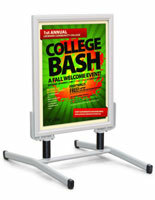 Snap Poster Frames: These sandwich boards present advertisement in a modernized way! Want to draw in more business and increase spur of the moment sales? 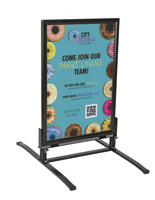 Sandwich Boards and other outdoor sign frames are perfect for peaking interest of passersby and drawing them into your store. 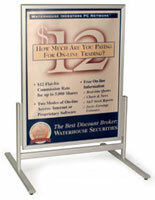 With sign frames on both sides, these sandwich boards are double-sided for maximum advertising potential. 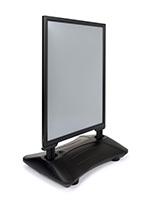 Attract the attention of customers both coming and going! Designed especially for outdoor use, these sandwich boards feature a durable construction that is made to resist the elements. Use your sandwich boards outside of restaurants as menu boards, or storefronts to promote sales and specials! These sandwich boards, also called curb signs, are made to resist weather and reduce the chances of blowing over in the wind. 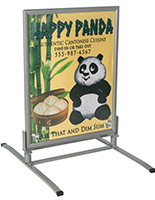 Featuring an aluminum construction and sturdy base, these outdoor signs are stable, yet lightweight and portable. 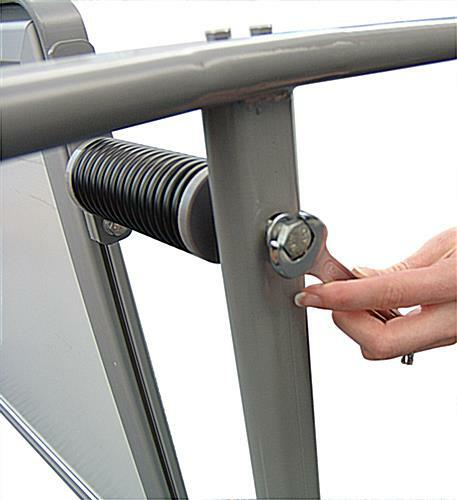 High elastic springs connect the sign frames to the base, and lessen the impacts of wind. 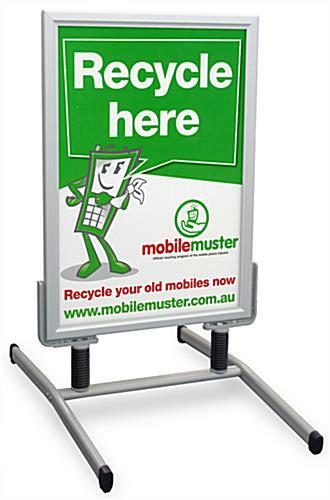 To keep your posters and advertisements looking fresh and new, these sandwich boards also feature clear, non-glare protective lenses. 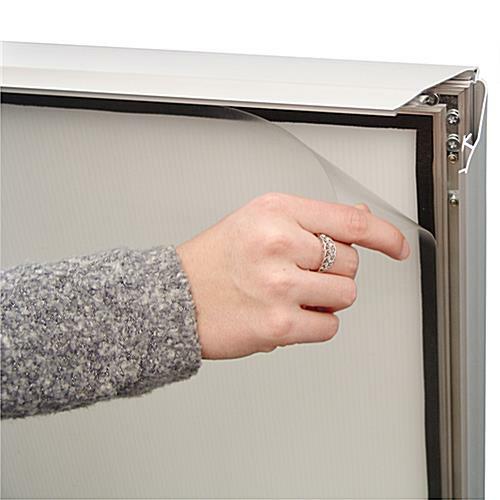 Please note that while the snap frames and lenses work to seal out moisture, your posters may become damaged if used in very harsh conditions such as heavy rain and snowstorms.